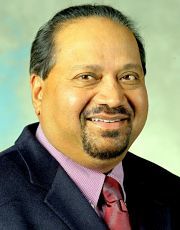 2013 Donor Profiles - IEEE Foundation, Inc.
Dr. Bimal Bose's technical achievements, spanning five decades, contributed to the growth of power electronics in IEEE. Fueled by his belief in IEEE's ability to empower young engineers, Bimal committed US$100,000 in 2013 to the creation of the Bimal K. Bose Award Fund, which will support the IEEE Bimal Bose Award for Industrial Electronics Applications in Energy Systems. This new IEEE Industrial Electronics Society Award strives to encourage and empower young scientists to perform advanced research, providing a vehicle to encourage young industrial electronics engineers to be more involved in this area of technology. The annual award will go to a young researcher who has made significant contributions to the advancement of energy systems through industrial electronics applications. Bimal's donation earned him the title of Honored Philanthropist as a member of the IEEE Heritage Circle. What drives Bimal to donate so graciously is his belief that IEEE has been a key component in the advancement of his own career. He "grew up professionally" with IEEE and believes that, in his own words, "we must give back to the society that helped us to grow." 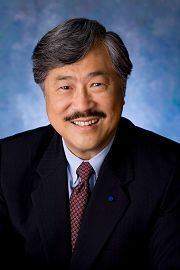 2013 IEEE Industrial Electronics Society president John Hung said, "The Bose Award will be meaningful for two reasons. There is the recognition of outstanding technical creativity in a key field of industrial electronics, and it will pay tribute to Bimal's character, generosity, and lifelong professional activities that have impacted so many around the world." 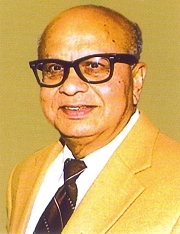 Jay Giri joined IEEE in 1975 at the suggestion of a college professor. He discovered membership to be a very valuable learning experience and has enjoyed networking, meeting colleagues, learning from others, student interactions, and having an extended professional family regardless of where he was working. Jay reminisces about attending the IEEE meetings as a wide-eyed graduate student, meeting and learning firsthand from the pioneers of the power engineering industry, whose textbooks and papers he was studying at school. In 2012, he was elected IEEE Fellow, "for contributions to the design and implementation of power systems control centers." He has been involved in IEEE PES sub-committees, working group, task forces, tutorials, and paper and panel sessions, and is a member of the IEEE Power & Energy Society (PES) Governing Board. Considering Jay's background, he was inspired to make his first gift to the IEEE Foundation for the IEEE PES Prabha S. Kundur Power System Dynamics and Control Award Fund. Established in 2012, this award recognizes outstanding contributions to the understanding and control of the dynamics of the power system. "I have known Prabha Kundar through IEEE PES since the late 1970s. He was very inspirational as an industry utility engineer who was technically competent, always looking for practical solutions, and one who could confidently challenge academics and other researchers," said Jay. He commends the IEEE Foundation for "enabling IEEE units and pioneers in our field, and continuing to support the growth in student scholarship programs." Jay is the Director of Power Systems Technology and Strategic Initiatives at Alstom Grid's Network Management Solutions in Redmond, WA, USA. He has B.Tech degree from the Indian Institute of Technology (IIT) in Madras, India and a Ph.D. from Clarkson University in Potsdam, NY, USA. Volunteering for the betterment of the community has always been a high priority to Mr. Jay Greenberg, who serves as a volunteer to IEEE-USA Energy Policy, Government Fellows, and Research & Development Committees in Washington, D.C, USA. An IEEE member since 2003, Jay supports IEEE-USA because of its positive effect on engineering careers in the USA-- advising decision-makers with recommendations based on the proceedings of the aforementioned committees. Through the efforts of IEEE-USA volunteers, it is possible to correct imbalances in engineering work-force demand, continuing education, protect inventors' rights, provide incentives for innovation, and combat employment discrimination. The valuable volunteer time Jay contributes to IEEE-USA is matched by his employer, Boeing, through its Gift Match Program. The program donates up to $6,000 credit in an Employee Gift Match Bank each year per employee, contributing to non-profit organizations through volunteering, monetary contributions, or charity events. Raking up 775 volunteer hours since 2010, Jay's commitment to the IEEE-USA is truly unique. Chris Brantley, Managing Director of IEEE-USA, says, "Jay is one of our most dedicated volunteers at IEEE-USA. The money he has raised for the IEEE-USA Fund of the IEEE Foundation is a direct reflection of his commitment both of time and resources available to him through The Boeing Company." Jay believes that the Gift Match program goes beyond the surface-level donation of hours or dollars: "Boeing employees are driving positive change in communities worldwide and opening themselves up to new opportunities to develop their professional skills and demonstrate their leadership capabilities." 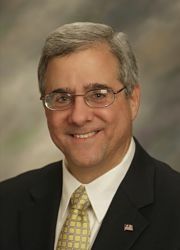 Michael Heyeck was the Senior Vice President at Transmission for American Electric Power until he retired in June 2013. He earned his Bachelor's and Master's in Electrical Engineering at the New Jersey Institute of Technology in Newark, NJ, USA. Michael became a member of IEEE in 1975 while a student because he thought it was an important addition to his resume. Since then, he realized that IEEE had much more to offer. He states, "Most invention comes from interaction in a neighborhood of thought leaders, whether by the accidental connection of random thoughts, or by a teaming of folks trying to solve a problem. IEEE is that neighborhood of thought leaders that seeds invention for the benefit of society." "The IEEE Foundation is a vehicle that can help others who in turn help others to continue advancing technology for a better society," Michael said. When he received the IEEE Power & Energy Society (PES) Leadership in Power Award in 2013, he announced the donation of his honorarium to the IEEE PES Scholarship Fund of IEEE Foundation. In his acceptance speech, he said, "Legacies are what you leave behind to help others." After Michael announced the donation of his honorarium, he recalls, "I was overwhelmed with thanks from the scholarship winners present, one of whom was coincidentally from my hometown." Michael believes that college education is expensive and, for most students, yields debt that takes years to overcome. That's why he feels compelled to donate to the IEEE PES Scholarship Fund which supports the IEEE PES Scholarship Plus Initiative. "It helps advance the profession, helps young men and women decide to make engineering their profession, and helps overcome the shortage of engineering talent that is needed to advance technology for our society's well-being," said Michael. 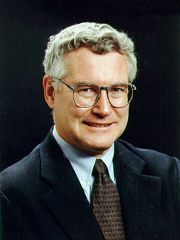 Daniel D. Hoolihan, a member of IEEE since 1983, is President of Hoolihan EMC Consulting located in Lindstrom, MN, USA. He is a consultant to the United States Department of Commerce National Institute of Standards and Technology (NIST) in the area of Telecom Certification Body and Conformity Assessment Body evaluations. He is also an assessor for the NIST National Voluntary Laboratory Accreditation Program. 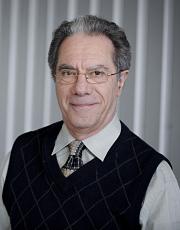 Daniel has been on the Board of Directors of the IEEE Electromagnetic Compatibility Society (EMC) since 1987. Daniel joined IEEE for the professional opportunities. He stayed active because of the associations he formed through the founding of the IEEE EMC Chapter of the Twin Cities Section in 1986 and the local meetings that followed. Daniel feels that those personal and professional relationships are the biggest benefit of IEEE membership. One of his fondest memories is the 50th anniversary celebration of the IEEE EMC Society in Hawaii in 2007. The Society arranged to have a 50th anniversary pin flown on the USA's NASA shuttle, which is permanently displayed on a plaque at the IEEE Operations Center in Piscataway, NJ, USA. He favors the historical operations and interests of the IEEE Foundation, and donates to its IEEE History Center Fund. Daniel believes the IEEE Foundation is a lasting legacy of IEEE. "By supporting the Foundation, a member can support the future efforts of IEEE which are built on the past activities," Daniel said. He added, "We all rely on the outstanding efforts of earlier members of IEEE. We build on their achievements and help our fellow man with our own personal hard work and achievements in the electrical engineering area." 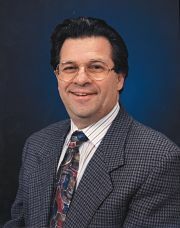 A Director of the IEEE Foundation Board, Dr. John Impagliazzo is also an active member of its Development Committee, the IEEE History Committee, and the IEEE Life Members Committee. 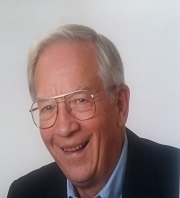 John was the key motivator in establishing the IEEE Heritage Circle, the cumulative giving donor recognition group that recognizes donors who have made significant donations to the IEEE Foundation throughout their lifetime. John is an Honored Philanthropist in the IEEE Heritage Circle and is Forever Generous as a member of the IEEE Goldsmith Legacy League. He willingly gives his time and resources to advance the IEEE Foundation and to enhance its strategy for the future. John believes it is important to support the IEEE Foundation because, "it is the philanthropic arm of IEEE, so supporting the IEEE Foundation is supporting oneself and the profession." He added, "The Foundation does good work and it has the potential of making new pathways to benefit humanity and the future of the engineering profession." A member since 1961, John feels that IEEE is a respected organization with worldwide appeal. "IEEE contributes to humanity and to the engineering profession," he said. "I have really enjoyed working with IEEE past presidents who have had a genuine desire to do the right thing for the greater cause." 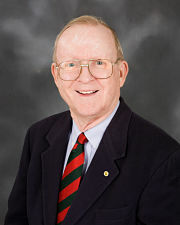 John is Professor Emeritus of Computer Science at Hofstra University, New York State, USA where he has served as department chair and the director of its graduate programs. John serves as a consultant for various countries regarding curriculum, assessment, accreditation, and related activities. He is the editor-in-chief of ACM Inroads, a publication of the Association for Computing Machinery (ACM) and a member of the ACM Education Board. He read somewhere that, "sometimes donations, even if the amount is very small, make your mind stable and calm." In an effort to bring meaning and purpose to his life, Mr. Susumu Kobayashi decided to make his first gift, in 1996, to the IEEE History Center Fund and he has been giving ever since. Susumu Kobayashi is an Honored Philanthropist in the IEEE Heritage Circle, supporting the IEEE History Center, the IEEE Life Members and the IEEE Foundation General Funds. Susumu told us he gets very excited to find his name on the donor list in the Honor Roll of Donors each year. Susumu always had an interest in Mr. Cray's (the "father of supercomputing") computers and his architectures as well as the Central Processing Unit (CPU) architectures of other manufacturer's and vendor's computers. He joined IEEE in 1979 for access to the cutting edge information on computers and CPU architecture and trends in the field. 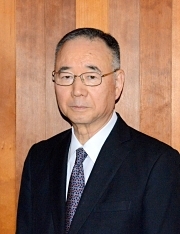 Susumu was the President and Representative of the Japan branch of Tera Computer Japan, now known as Cray Japan, Inc., in Tokyo, Japan until he retired in 2005. He has translated, edited and been featured in many books based on computers and technology. He says the IEEE Foundation is important because, "it helps and inspires young people to go into science and technology fields." He supports the IEEE History Center because, "Before understanding any technology well, we have to know its history deeply, from the very beginning. We have to gather and prepare historical information, as the History Center does, so this information can be accessed by the rest of the world." Susumu added, "The IEEE History Center is the treasure and legacy of human beings in the world." Born in Bedford, PA, USA in 1920, Mr. William "Bill" Middleton's influence on IEEE was felt in every aspect of the organization. Bill was deeply interested in the history of engineering; his passion is exemplified through two legacy gifts to the IEEE Foundation totaling $75,000. These bequests were fulfilled, more than 10 years after his death, through the estate of his wife, Joyce Middleton, who passed away November 2012. "The sheer size of his donations, in addition to the four decades he spent in service to IEEE and the profession, contributed greatly to IEEE's continued advancement and success," 2008 IEEE President Lew Terman recalls. Bill's bequest of $25,000 will enable the IEEE History Center to support the development and publishing of IEEE history. The second bequest of $50,000 combines two of Bill's interests -- history and awards. It will support the newly established IEEE William and Joyce Middleton Electrical Engineering History Award. The award will be bestowed by the IEEE History Committee and will recognize the author(s) of history of IEEE related technology that exemplifies exceptional scholarship and reaches a broad audience. Bill believed in spreading the history of engineering into the public eye. "This award will encourage the kind of writing that Bill would have enjoyed," IEEE Life Fellow and IEEE Foundation Vice President of Development Lyle Feisel explains. The IEEE Foundation acknowledges Bill and Joyce's extraordinary commitment by including their names on the roster of the IEEE Goldsmith Legacy League. To IEEE and the IEEE Foundation, they are Forever Generous. Read more about William W. Middleton on the IEEE Global History Network. "The biggest benefit of my IEEE membership has been to learn and practice leadership skills," says Dr. Emerson Pugh. A leader he is. 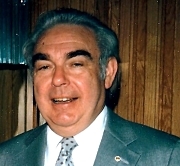 Emerson served as IEEE president in 1989. In 1996, he joined the IEEE Foundation Board serving as its President from 2000 through 2004. During his presidency, he initiated a study of the relationship between IEEE and the IEEE Foundation resulting in the creation of the policies and procedures manual, operations manual, and contracts with IEEE organizational units for which the Foundation held donated money. His personal passion is volunteering to promote projects of the IEEE History Center. His fervor for the Center is made apparent through his investment of time, talent, and treasure. In 2009, while serving on the IEEE History Committee, he helped conceive the Significant Technological Achievement Recognition Selections program (STARS). This compendium of approximately 20 peer-reviewed articles on the history of major developments in electrical and computer science and technology is on the IEEE Global History Network and has been published in the highly respected Proceedings of the IEEE. Emerson is enthusiastic about the Foundation's activities in supporting the development and promotion of the histories of technologies in the fields of interest to IEEE members. A member of the IEEE Heritage Circle and the IEEE Goldsmith Legacy League, Emerson gives generous annual gifts to the IEEE History Center, the IEEE Life Members, and the IEEE Foundation Funds. He donates to the Foundation because, he says, "The IEEE Foundation has many programs worthy of funding. If IEEE members do not support these activities, who will?" Mr. Lotfollah (Lot) Shafai's gift enabled the creation of the Lot Shafai Mid-Career Distinguished Achievement Award. This unique award recognizes the past technical accomplishments and future potential of outstanding women of mid-career status in the field of antennas and propagation. IEEE Antennas and Propagation Society established the fund and will present the award annually. Lotfollah says, "I know that female engineers with family responsibilities face challenges in engineering education and engineering practices to a different degree than men may. My daughter is an electrical engineer and I have come to understand deficiencies of our educational system in addressing the needs of the female students," said Lotfollah. He added, "One way to overcome this problem is to reward outstanding female engineers for their successes. We need to encourage more female students to become engineers, so they can help us to educate more and better female engineers." Lotfollah created this award, with the help of his wife and their daughter, to recognize the success of female engineers in spite of all the difficulties. Lotfollah's donation allows him to be recognized in the IEEE Heritage Circle. In 2013 he received the "John Kraus Antenna Award" from the IEEE Antennas and Propagation Society "for contributions to the design and understanding of small high-efficiency feeds and terminals, wideband planar antennas, low-loss conductors, and virtual array antennas." This award fund is also held by the IEEE Foundation. He received his B.S. from the University of Tehran, Tehran, Iran and M.S. and Ph.D. from the University of Toronto, Ontario, Canada. 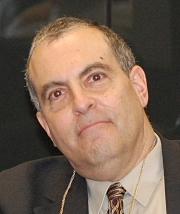 He is a Distinguished Professor in the Department of Electrical and Computer Engineering at the University of Manitoba, Winnipeg, MB, Canada. James M. Tien has left a lasting imprint on IEEE during 30 years of volunteer service and a long history of donating generously to the IEEE Foundation. Supportive of all that IEEE Foundation is engaged in, James says, "bringing the exhilaration of scientific discovery to students, fostering technological innovation, preserving history, working to benefit humanity, and promoting awareness of the long-reaching effects of engineering are all things I want to support." His annual gifts to the IEEE History Center and Life Members Fund of the Foundation constitute what he calls, "giving back to IEEE," in partial thanks to what IEEE has given him - a successful career. James volunteers his time and energy to enhance IEEE's image and to improve the services it provides to its members and industry. James received the 2010 IEEE Richard M. Emberson Award "for vision and leadership in advancing IEEE's global visibility and recognition as an innovator in technical, publication and educational services." James explains, "much, if not all, of my professional success is due to my association with IEEE, whether publishing in its top-rated journals, participating in its well-attended conferences, engaging in its educational mission, or being honored with its prestigious awards." James views IEEE as "the organization of choice for professional growth and the source for technical and educational materials." James joined IEEE in 1966 after graduating from Rensselaer Polytechnic Institute (RPI) in Troy, NY, USA. He received his Masters and Doctoral degrees in Systems Engineering and Operations Research from the Massachusetts Institute of Technology, Cambridge, MA, USA, then worked at Bell Labs and the Rand Corporation before joining the RPI faculty in 1977. In 2007, he was recruited to become professor and Dean of the College of Engineering at the University of Miami in Coral Gables, FL, USA. Since he joined IEEE predecessors the AIEE and IRE in 1957, finding ways to spark innovation and recognize member contributions has been at the forefront for former IEEE-USA President Ralph W. Wyndrum Jr. The tools provided by IEEE have been invaluable throughout his career and as a student. "In graduate school and during my doctoral research, IEEE publications were indispensable and this continued to be the case in the first decades of my career at Bell Labs," he says. "Increasingly, in my career, the professional conferences and networking afforded by IEEE became most important." A long-time, generous donor, Ralph's most recent donation to the IEEE Life Members Fund of the IEEE Foundation exemplifies his commitment to continuing programs that further innovation. "The Fund supports my professional values, awards grants to programs which encourage innovation for humanity, recognizes important member contributions, and represents the values that innovative engineering delivers to the world at large. It also supports our History Committee assuring a well-documented past for the IEEE," he said. "The Life Members and IEEE Foundation's grant program make important technical and social contributions, are judged by competent peers, and will improve the lives of future generations," said Ralph. This is why he is driven to support the program. "Those who should best understand the goals and successes of the Foundation are indeed our members. Young members and senior members alike can find initiatives that resonate with them and they should support those initiatives," said Ralph. Thanks to generous donors like Ralph, more engineers will be equipped with the resources they need to thrive in their career and innovate in ways they never could have before.